Was one of them some type of box with cutouts, that you would stick shape pieces into the holes on the box? I believe most of us probably had one of these, or at least something similar. 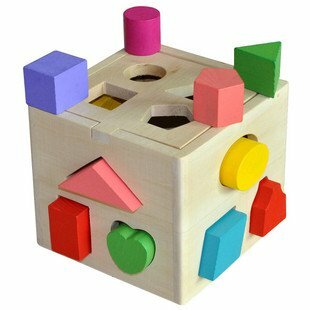 With this toy, we learned circle shape, goes in the circle hole; square shape goes in the square hole; star shape goes in the star hole, etc. As we grew up, this matching shape concept took form in our everyday life. Do it this way, because this is exactly how it fits. As someone with your typical “artsy” personality, we strive on being outside the box. However, even the non-conventional crowd has their shapes. My last semester of college, sitting in my Ag Communication Capstone course, the professor asked the class about our writing styles. Since majoring in communications = writing overload, none of us were strangers to throwing out 1,000 word feature stories a week. The class threw out a variety of writing methods, whether they could only write at night or the morning… they might sketch their ideas on paper before grouping them together, or just start writing beginning to end. Others wrote the content and then came back and added a beginning and ending. Then the professor looked at me. “How about you Dani, how do you write?” she asked. “I write what is in my head, no matter what order, and then arrange it to make sense. Most of the time I start in the middle of the story, then jump around,” was my response. As you can imagine, that was followed by, “Oh gosh I could never do that” “Yikes that’s confusing” and so on and so on. The professor agreed she couldn’t either, but her point had been made. We all were in the same group, working achieve the same type of job, but we all had very different methods of attaining the end goal. The same concept can be applied to anything, but today I’d like to compare it to agriculture. INSIDE the ag industry we need a wake up call that we aren’t all the same shape, yet we all find the hole where we fit and end up inside the box, mission accomplished. Too often, I hear farmers pitting against each other over production methods. The conventional farmer thinks the organic farmer is a tree hugging hippie. The organic farmer thinks the conventional farmer is a poison spreading fool, and those buy local farmers? Ha! Everyone knows you can’t feed the ever-growing population that way. Let’s look at this from even a non-extreme example. Father passes farming/ranching operation down to the next generation… The son (or daughter) starts incorporating new farming practices into the operation, upsetting the patriarch. Why? Because this is how we’ve always done it, and that’s how it should be done. Does this make the next generation wrong? No. Nor does it make the father who passed down the operation wrong. This also can be said for the organic, conventional, all-natural, buy local (etc.) farmers. That is the beauty of the world we live in. We can all be different, or practice different methods in order to provide a variety of food choices for consumers, but at the end of the day, we all accomplished the same mission. Different shapes, different shaped holes, but we all end up in the same box. So let’s not forget we are all on the same team here. Now that’s broad, panoramic vision ! Grand Dad D.
Couldn’t agree more – I work for a commodity organization that represents (for the most part) “conventional” production methods … I want to bang my head on a wall if I hear someone disparaging other production methods or just not “getting” that we truly are all in this together and it takes all kinds! Sometimes I need to remember that too – so thanks for sharing these thoughts! Yet another reason that I love your blog! I tend to jump around in my writing too and have the idea in my head before I ever hit the key board. Very good insight also! We all have our ways of doing things and you know, sometimes there is more than one way to do something “right”. 🙂 Well thank you! I’m glad someone else share my writing style. Love this and it makes so much sense! It really does bug me when farmers gang up on other farmers, although I’m guilty of it myself, but mostly as a defense method of my conventional farming practices. Thanks for the reminder! Thank you!! Oh I am definitely guilty as well, especially as a defense mechanism. I’m trying to take a step back and look at the bigger picture more and more. It takes all kinds, plus people deserve food choices, whatever they may be. Love the post! You did a great job explaining and showing how in the end we as agriculture are all “in the same box.” From outside the box, no one cares or likes to hear the differences between different practices, generations, etc. – from the outside we are such a small part of the United States, we are just one. We as agriculture need to work better together as one. If we did, we’d do better at getting things and legislation accomplished.